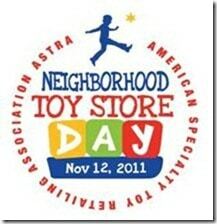 On November 12, 2011 toy stores around the nation will celebrate the joy of play on Neighborhood Toy Store Day. ASTRA, the American Specialty Toy Retailing Association, whose mission is “leading the way through play,” has asked me to share the importance of shopping locally for toys so that we can help save our community toy stores from extinction. I have to admit, I’m as guilty as anyone when it comes to shopping for toys at the big box stores. But, as in all things, you get what you pay for. 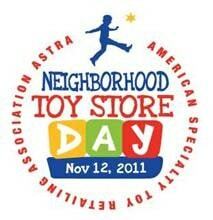 WHAT IS NEIGHBORHOOD TOY STORE DAY ALL ABOUT? To launch the holiday shopping season with community-minded fun, ASTRA members throughout the nation will host special events at their stores. The festivities will highlight local talent and bring neighbors together in the spirit of giving. Events will include crafts, entertainers, scavenger hunts, and charitable donations. Through Neighborhood Toy Store Day, customers see that specialty toy retailers are more than just stores, they are a central part of a vital community. Although I’ve done my fair share of toy shopping at Target and Toys R’ Us, when I want something special, I always head to The Toy Maker at Stuyvesant Plaza. They carry fun and educational toys, sure to fire a child’s imagination, that last well beyond the five minutes of excitement immediately following the trashing of the gift wrap. Really? Only one? That’s just sad. I’m hoping that, like The Toy Maker at Stuyvesant Plaza, that the Capital Region has more neighborhood toy stores that just aren’t listed on the Neighborhood Toy database. Can you help me make a better list? Where are the Neighborhood Toy Stores in the Capital Region? Where will you shop for toys this holiday season? Disclosure: In case you’re wondering, absolutely no compensation of any kind was provided for this endorsement. 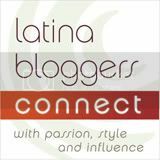 Jennifer – Thanks for the recommendation! And Colleen, that’s great to hear! I’ve never been in G. Wilikers in Saratoga as The Toy Maker is a little closer, but I’m tempted to head out there now! It’s the last independent toy store AND the last bookstore we have up here.